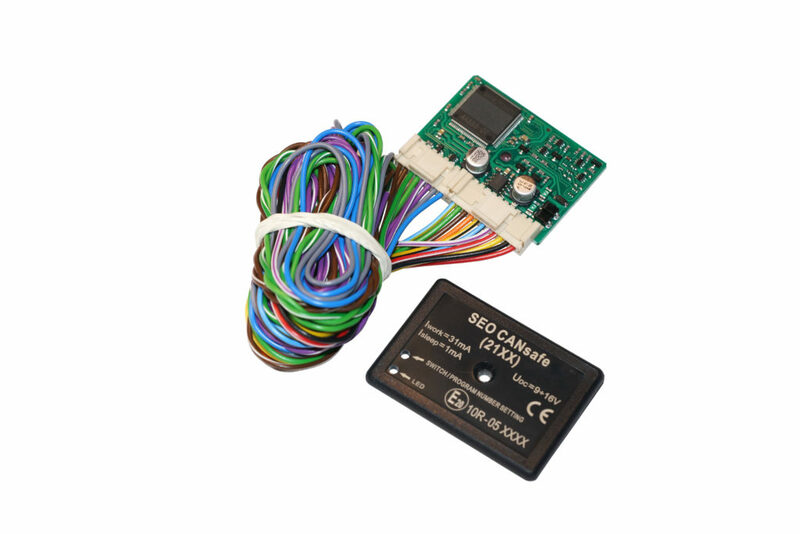 SEO CANsafe converter in combination with any car security system, for example SEO PERFECT or GPS/GSM module is an excellent car protection. Installation is carried out in accordance with the provided connection diagrams. Program numbers dedicated to specific vehicles are shown on their respective connection diagrams. 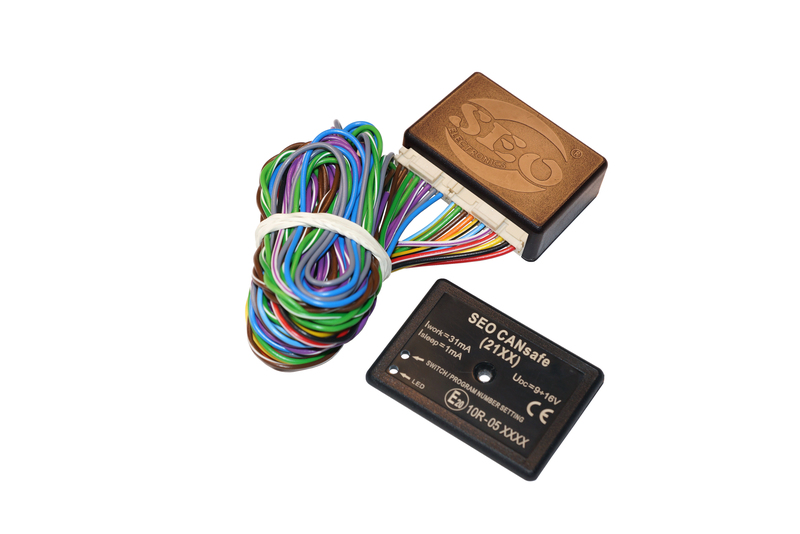 SEO CANsafe is a reading/sending converter that waits for digital signal from CAN BUS to translate it into analog signals that are sent to the appropriate outputs or inputs of the 11-PIN connector. Analog signals are converted to appropriate commands that are sent to the vehicle’s CAN BUS. It is possible to connect 3 CAN BUSes to the device. How did you find out of SEO Electronics?